Aerohive is the first vendor to recognize that a voice-driven interface to the access network can significantly increase efficiency for IT networking professionals. To that end, Aerohive has integrated our HiveManager Network Management System with Amazon’s Alexa Virtual Assistant. The result is HiveManager Shortcuts – a voice-enabled, virtual assistant for network administration tasks. See it in action in this video! More information on the HiveManager Skill for Amazon Alexa can be found here. Recently, we announced a new capability for HiveManager customers – Network 360. 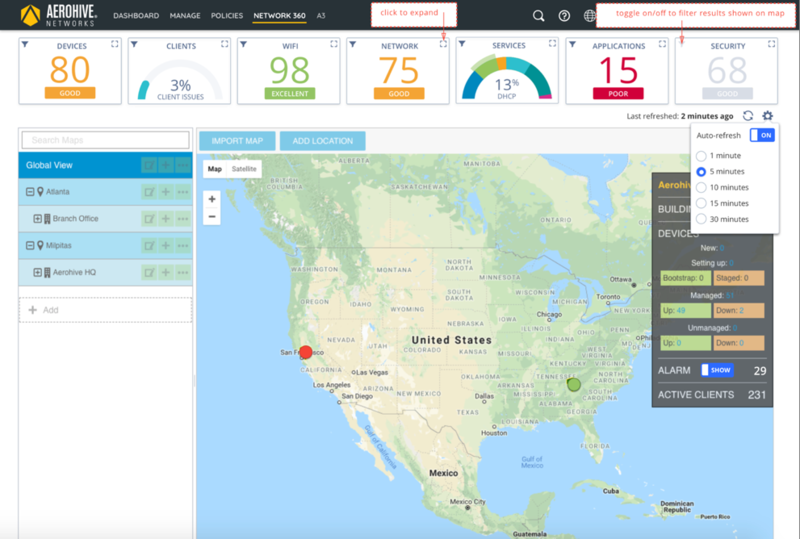 Network 360 is derived using Aerohive’s true microservices Cloud architecture, API-driven Cloud-Management, and native machine learning capability to securely collect, process, and rapidly analyze vast amounts of data from a customer’s network to accurately depict the “network health” in both real-time and historical views. Network 360 is being built out via a Continuous Delivery development model throughout October, November, and December 2018 and will be available in all of Aerohive’s deployment options when completed (Public Cloud, Private Cloud, and On-Premises). HiveManager will be updated later this month to support SAE configuration within the interface. 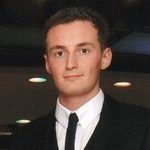 HiveOS release notes here. More information on WPA3 can be found here. For those Aerohive veterans out there, think of this as Classifier Tags 2.0. The new Cloud Config Groups enhance Aerohive’s already existing and unique network-policy architecture and compliment traditional segmentation technologies (IP, VLAN, ACL, etc.) 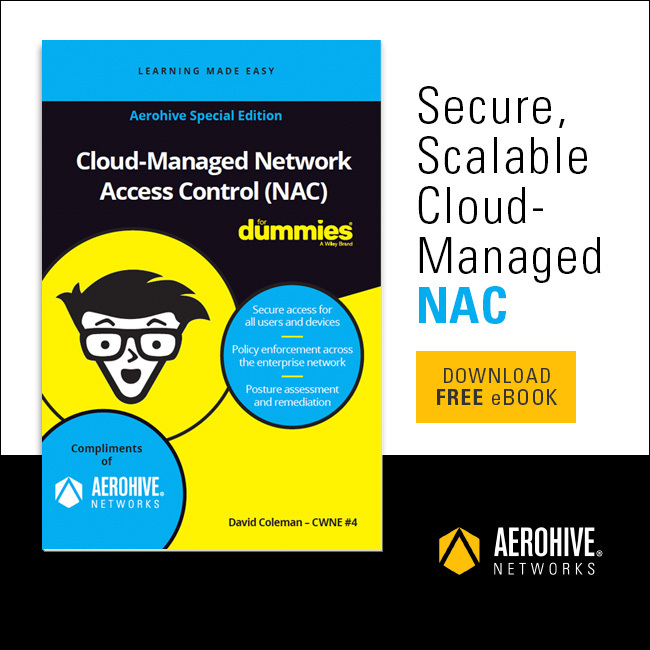 by enabling an IT administrator to select and structure (operationally micro-segment) any number of discrete Aerohive access points, switches, or routers on a single site, across multiple sites, or across their entire enterprise. Cloud Configuration Groups, with a few clicks, enable an IT administrator to operationally and dynamically segment the access network to align with the needs of the business, instead of struggling to adapt or settling for the limitations of traditional segmentation technologies. To learn more about Cloud Configuration Groups, check out our blog post here. Did you know that much of the information contained within the HiveManager Dashboard can be amalgamated into a customized report and sent via email on a scheduled basis? 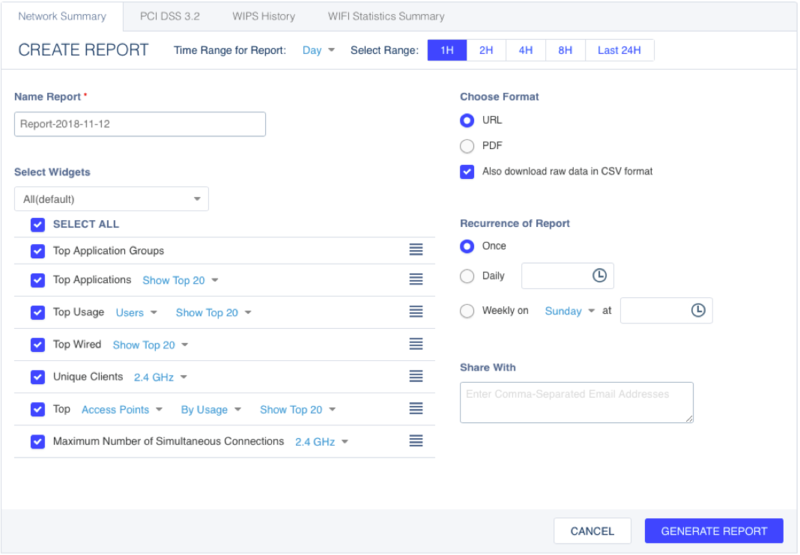 Your Aerohive network can also be configured to periodically scan and report on PCI DSS 3.2 compliance, WIPS History and Wi-Fi Statistics. To create such a report, navigate to Dashboard> Reports. These reports can be exported in URL or PDF format. Additionally, the raw data can be downloaded in CSV format. 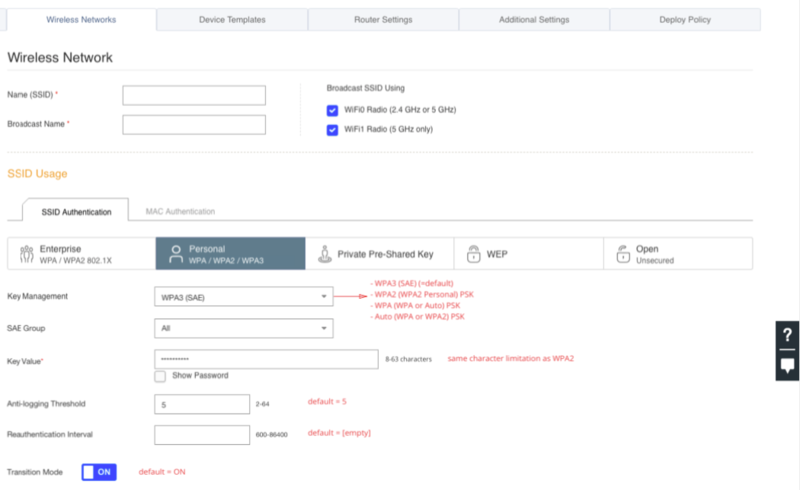 As further evidence of our commitment to WPA3, check out these UI mockups for SSID configuration (subject to change). Expect WPA3 configuration to be make its way to HiveManager soon. Of course, it wouldn’t be Aerohive if we didn’t have something else up our sleeve, would it? Aerohive has a track record of taking technologies like WPA2-PSK and developing advanced, practical solutions, including PPSK and PCG. For now, let me just say Aerohive intends to continue that legacy and we have some pretty exciting innovations planned for WSAEA3 – stay tuned.